Looking back at “Run Lola Run,” I believe one of the most evident cinematic and narrative techniques used is that of time shifting. In “Cinema in the Digital Age,” Rombes states that time shifting is a method of telling stories, in which you are constantly skipping back and forth in time, and compressing and decompressing swathes of time. 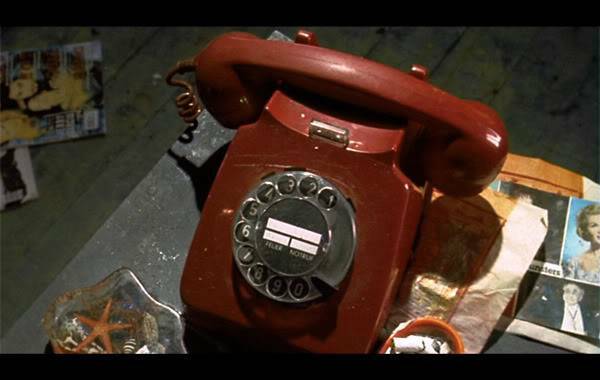 The director of Run Lola Run uses the method of time shifting perfectly to illustrate each specific time that Lola rewinds her life to where she drops the phone to initiate the start of her next attempt. Not only is time shifting visible in these rewinding scenes, but it is also noticeable when there is a flashback to where both Lola and Manni are laying in bed together talking about their ideas of love. Mark Stephen Meadows is quoted in Rombes’ book saying “digital media, with things like back buttons and the ability to accelerate, decelerate, link and close, changes how time is used in narration.” Therefore, the digital aesthetic in this movie is apparent during the scenes where time shifting takes place as these scenes represent the new abilities of digital media. These flashback scenes I referred to above also showcase the idea of nonlinear editing as you are really unable to decipher when these took place relative to what was currently going on in the story line. Rombes states that “it is not that the ability to rearrange and re-sequence time in movies is new with nonlinear editing, but rather that the ease and speed whereby the database can be accessed and summoned means that more experimental, even radical representations of time in cinema are possible.” I think this is a very important statement that directly relates to these flashback scenes as the timeline of Lola’s rewinding after each death is understood, but the timeline in which they are laying in bed is not. Does this scene take place before Manni needs the money, or does this scene take place after all of these events have already unfolded? Honestly it is hard for me to tell, and also possibly left up to viewer interpretation, which could be exactly what the director wanted. I find that that the sense of narrative continuity is both portrayed and maintained by the repetition within the scenes that show Lola running. Lola starts upstairs and runs by her mother on the phone, down the stairs, runs into a lady with a stroller, almost gets hit by a car, and runs to find her dad. Each of these small interactions with other characters in the film push the narrative forward while keeping consistency throughout the film and allow you to understand exactly where she is in her 20 minute time frame before Manni robs the store. This repetition essentially allows for an understandable narrative space while breaking the traditional ways most conventional movies would arrange their story elements.